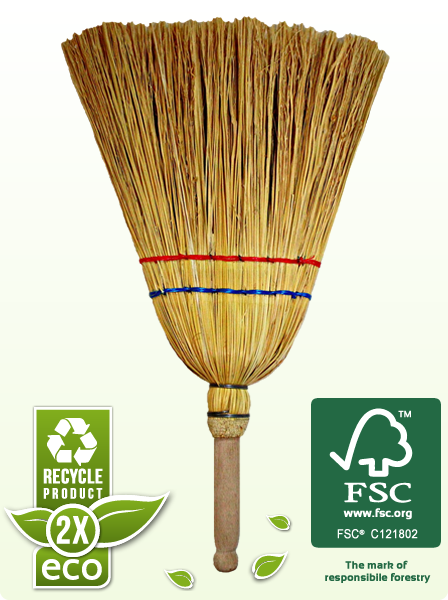 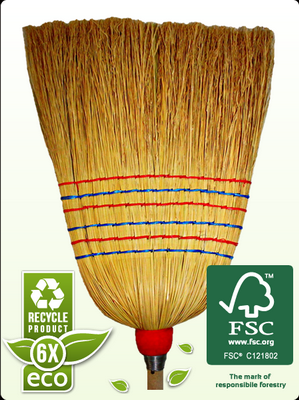 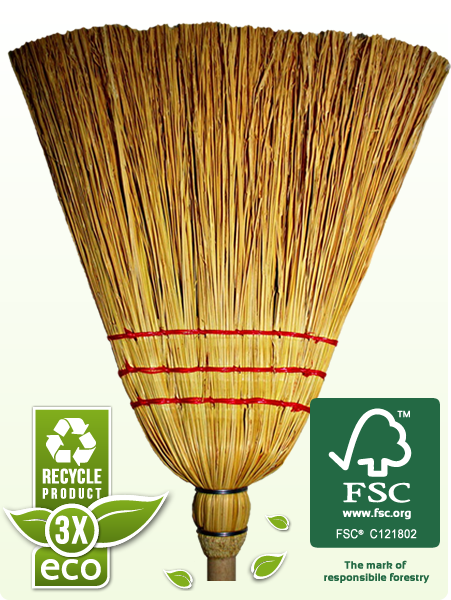 Most of our sorghum broom models can be used for outdoor and indoor cleaning. The exception is the industrial broom which is designed specifically for use in factory conditions. We offer different possibilities and variants of the production of our product. For instance, we can paint the broom handle, use different thread colors and different color combinations while sowing the broom, drilling a hole at the end of the broom handle and different options of wire fastening (the wire spiral, which connects the head of the broom with the handle). We can make other aesthetic alterations with the wire fastening, like on the model Balkan, or we can put a plastic part with a screw on the top of the shaft and so on. 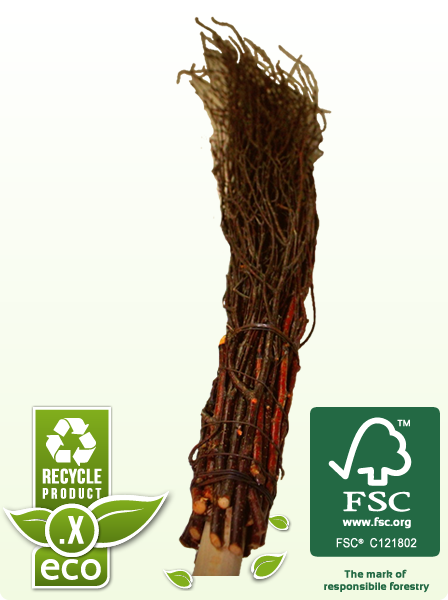 We always try to accommodate the demands of our customers whenever it is within the range of our possibilities. 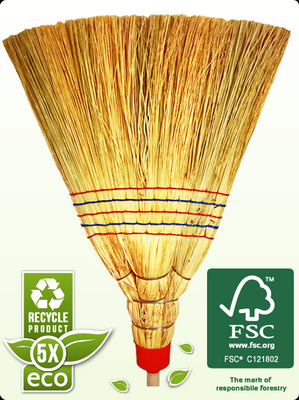 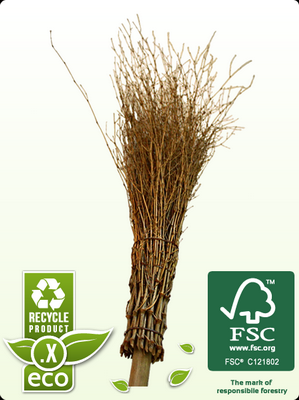 Depending on the model of the broom, the length of sorghum fibers varies from 30 to 40 cm. 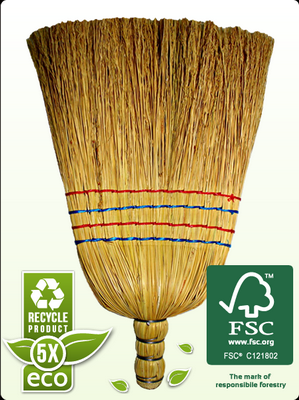 The length of the visible part of the shaft varies from 12 cm (vehicle cleaning broom), 70 cm (child broom) while most of the standard models have 90, 100 and 105 cm long shafts (exception is the Balkan model). 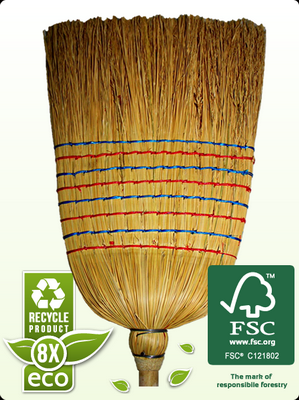 The weight of the broom also varies from 650 to 700 g or even 1.400 to 1.500 g, depending on the model of broom. Small variations in weight on the same model also occur because each broom is made by hand. 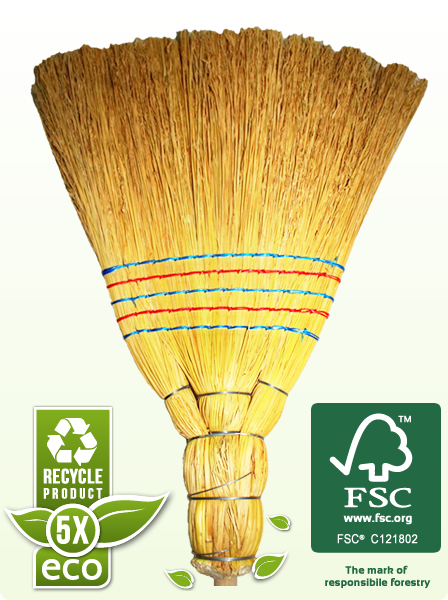 Some of the brooms we make (child broom, vehicle cleaning broom) are meant for cleaning relatively small surfaces. 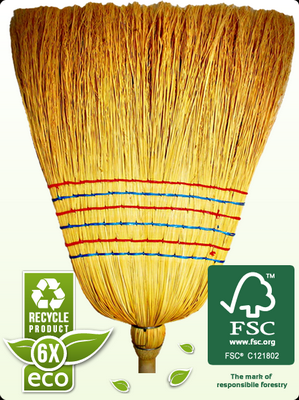 The child broom is a model adjusted for the use of small children from 2 years of age and older. It helps the child develop coordination skills, helps in creating a team work sensation, it helps the child in developing healthy work habits and a certain empathy towards the nature. 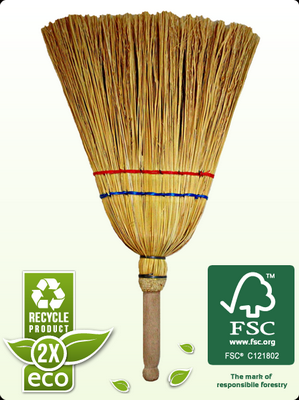 These are some of the important traits needed for a healthy life. 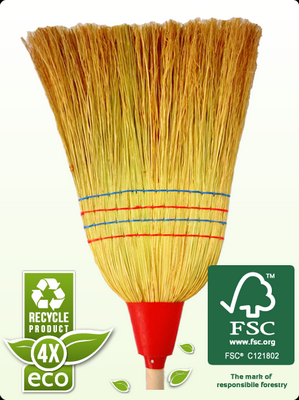 The vehicle cleaning broom will not damage the car paint while you’re using it to get the snow of your car because of the elasticity of the sorghum fibers.